I am a recruit in the Zone 5 Academy, a future leader, I am proud to serve my community, and country, I will conduct myself at all times so as to bring credit upon my academy, myself, my department and my profession. I am an important part of the zone 5 academy and can achieve any goal I set. I will make every effort to learn the Zone 5 Academy way of life. I will learn from superiors and will carry out their orders to the best of my ability. I will fulfill my responsibilities and display professionalism at all times. I will strive to perform beyond all expectations by using my skills and education learned at the Zone 5 Academy. I am a recruit in the Zone 5 Academy who shares the great responsibility of preserving the freedom of every man, woman and child in this great nation. A recruit whose loyalty and integrity lies in my faith and devotion to the United States of America. I will set an example for all to follow. 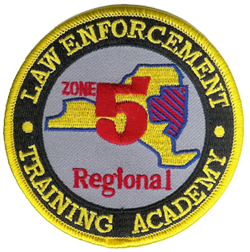 I am a recruit in the Zone 5 Academy.